I’m so on the fence about Wuthering Heights. On one hand I loved the writing and the story, but on the other hand the story moved so slowly that I read it over a span of half a year. There was nothing that gripped me or made me continue, it’s only because I’ve got such an expensive edition that I felt like I had to finish it. I hate Heathcliff. He didn’t have a great childhood, but that didn’t account at all for the cruel and terrible person he grew up to be. Some things he did were inexcusable to me, and I’m having a hard time to imagine how people can find him attractive. He’s not a tortured hero, he’s a villain with no redeeming qualities. Loving someone is not a redeeming quality. 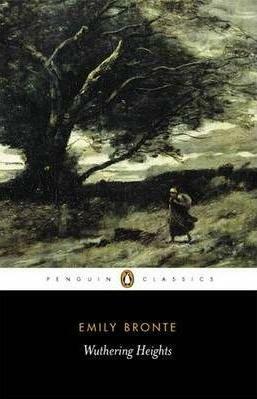 Just because a serial killer spoils his dog doesn’t make him a good person – neither does Heathcliff’s obsession with Cathy excuse anything he did. For me Wuthering Heights is not a story of love, but a story of destruction. It’s the tale of how two families become bonded in jealousy and hate, and destroy each other from the inside out. That being said, I loved how it ended on a positive note. After so much tragedy I could use some positivity.